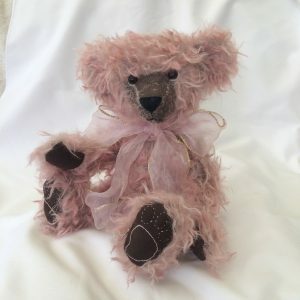 KIZZY is a special bear, she is softly squidgy with a gently stuffed body. 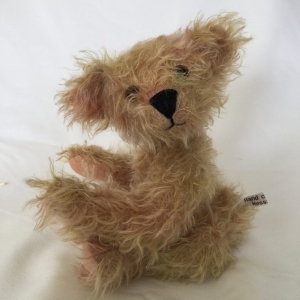 She is made from hand dyed multi coloured mohair and stands just 10″ (26cm) tall on her bear paws. 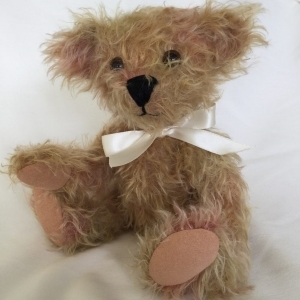 KIZZY is a special bear, she is softly squidgy with a gently stuffed body. 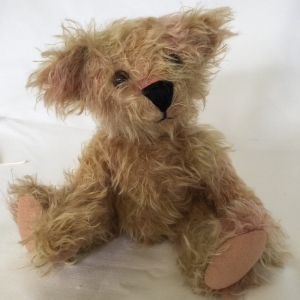 She is made from hand dyed multi coloured mohair and stands just 10″ (26cm) tall on her bear paws. Her pads and paws are of a ceramic ultra- suede and she has beautiful topaz English glass eyes. 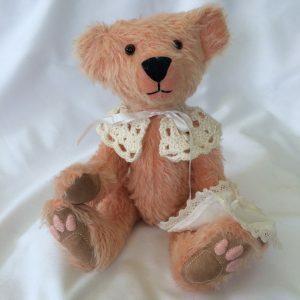 She is entirely hand-sewn and is made traditionally, with fully jointed limbs and is really adorable!